Be a Guest Blogger !! We particularly welcome content that is clearly structured and easily accessible. Please include definitions of any terms you use that may not be familiar to all readers. If you refer to theoretical principles and concepts, please ensure that their relevance and application to classroom practice is clear. Articles and blog posts that are practical and include lesson ideas and tips are also welcome. • contain no headers, footers, page numbers or footnotes. Please refer to the full website guidelines in the link above before submitting your article. 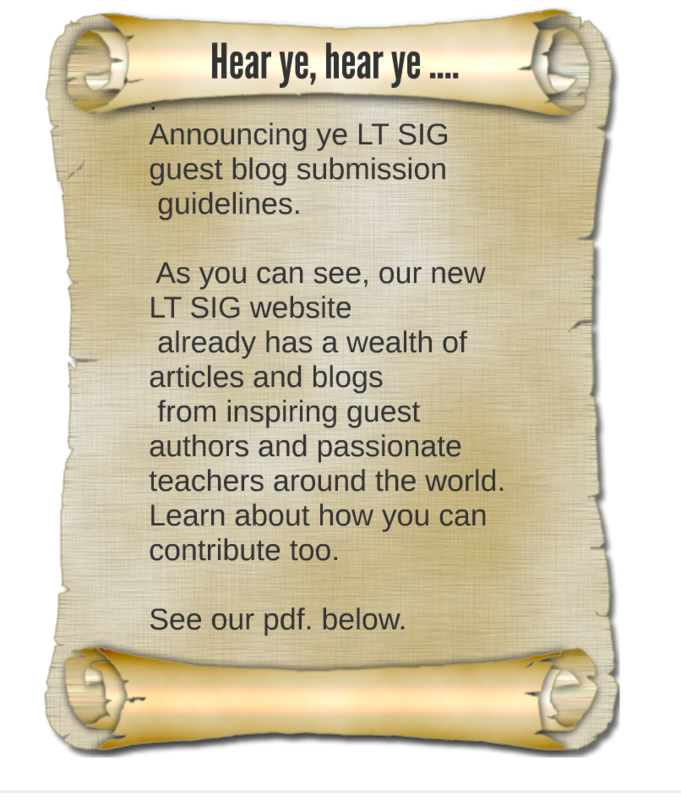 Looking forward to hosting more fresh voices, expert advice, and exciting bloggers on our new LTSIG blog. Find out more when we launch our first ever blog challenge …..
Coming soon – stay tuned! !